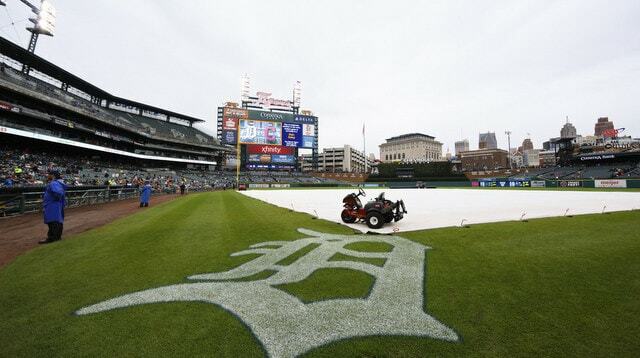 As expected, this afternoon’s game at Comerica Park has been postponed due to rain. Word is the Yankees and Tigers will try to play a split doubleheader tomorrow, but tomorrow’s weather forecast doesn’t look much better. We’ll see. Tomorrow’s games are scheduled for 1pm ET and 7pm ET. The impromptu off-day comes at a pretty good time for the Yankees. Between short starts and extra inning games, the bullpen has been worked hard the last week. Those guys could use a breather. Depending on tomorrow’s weather, the Yankees might also be able to skip using Luis Cessa as a spot starter for CC Sabathia. Sabathia is expected to return Tuesday. Randy Miller hears that if the Yankees and Tigers are rained out again Sunday, the Yankees could return to Detroit to play a doubleheader on August 20th. It’s not ideal, giving up a second half off-day to travel and play a doubleheader, but what can you do?